We had an exciting weekend at Luther Woods, as Shred One stopped by to host a community shredding event on Saturday. This year’s turnout was one for the books. In fact, more than 300 people participated and about 14,800 pounds of paper were shredded! We even received a lovely note from someone who stopped by to shred a few documents. It’s moments like these that put a smile on our faces. Our skilled nursing care staff greatly enjoys helping not only our residents and their families, but also those in the surrounding communities. We truly appreciate their hard work, dedication and passion for those in need. 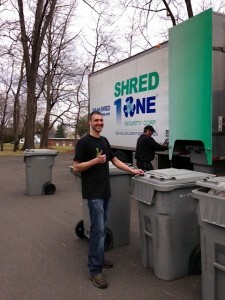 Thank you to everyone who attended this fun shredding event!